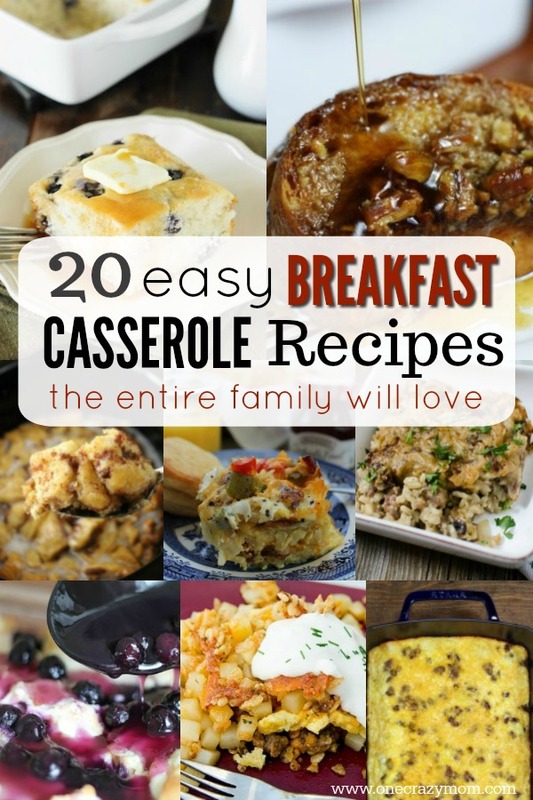 Easy Breakfast Casserole Recipes - 20 Ideas for Breakfast you will love! I don’t know about you but mornings sure can be crazy around here. 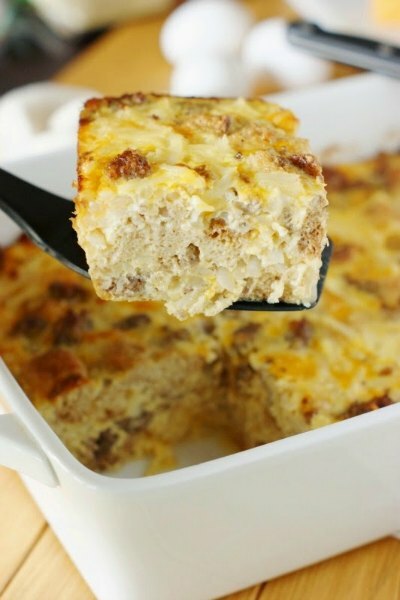 Try these best breakfast casserole recipes to lessen the chaos and bring your morning some order! From savory to sweet, there is something for everyone. Make these yummy breakfast ideas the night before. All you will have to do the next morning is pop it in the oven. There are lots of great time saving recipes you will love. I make mine in these 9×13 throw away pans to really clean up a breeze. These are also great if you are taking a casserole to a new mom or friend that could use a kind gesture.Sometimes, I also use the nice glass ones with a lid because they are so nice for storage. And if I’m taking my casserole somewhere, I love the insulated thermal casserole totes. I have had one for years and it so the most handy tote. It keeps my car nice and clean and the food stays warm. Love these! 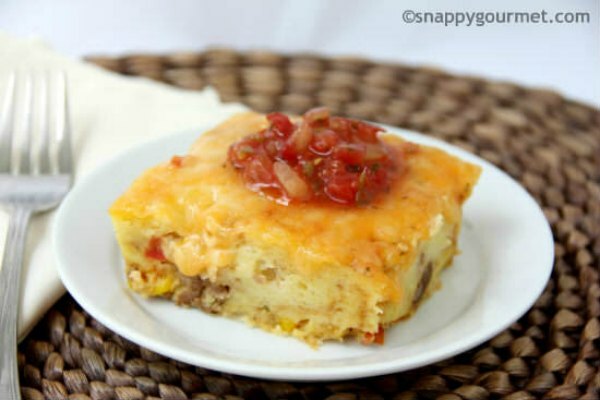 Let’s get started with the 20 best Breakfast Casserole Recipes! 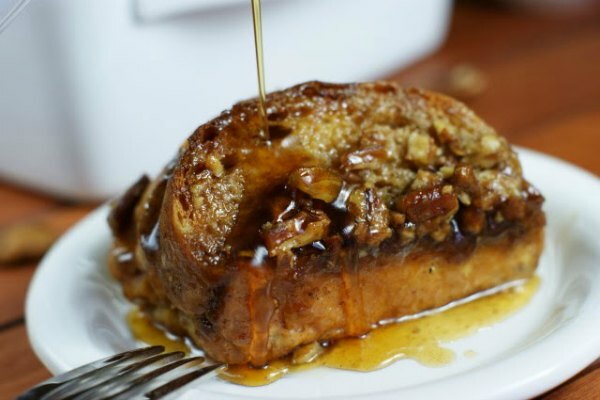 This decadent french toast with praline topping is so easy when you assemble it ahead of time. 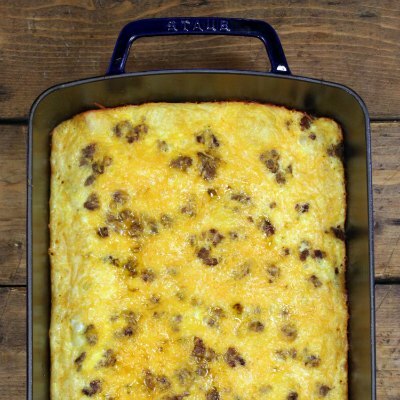 It’s the perfect overnight breakfast casserole to feed your family or guests. The brown sugar and pecans taste amazing in this french bread. 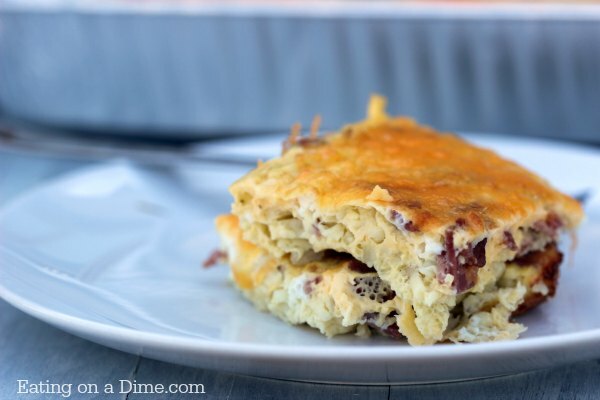 This bacon egg and cheese breakfast casserole is one of those easy breakfasts that you can just throw it all together without having to do a lot of thinking first thing in the morning. The bacon and eggs are so tasty and the cheese makes it even better. 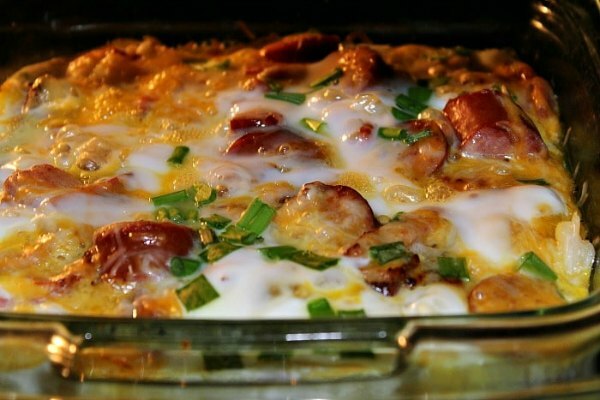 Sausage and eggs come together for a yummy casserole made even better with crescent rolls! It’s so light and flaky. 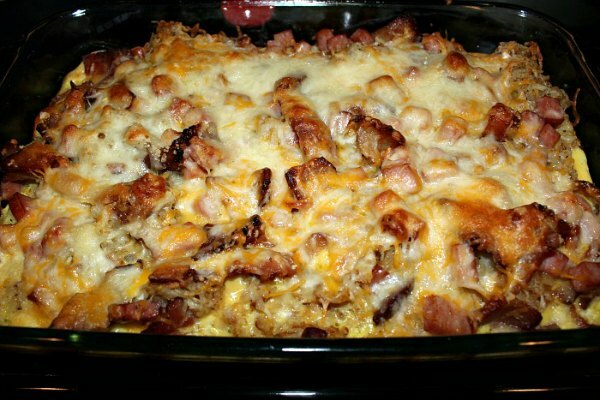 This is an easy breakfast casserole that can be made the night before. The cornbread adds a new taste on an old classic. It goes perfectly with the Mexican sausage. Make this the night before and it’s even better! Plus, you can just bake it the morning you need it for less work. 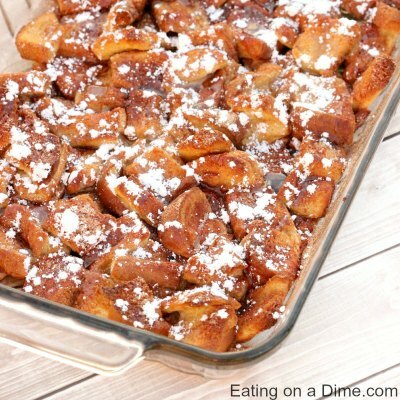 The flavors are amazing and it’s even better with syrup drizzled over it with a sprinkling of powdered sugar. Yum! 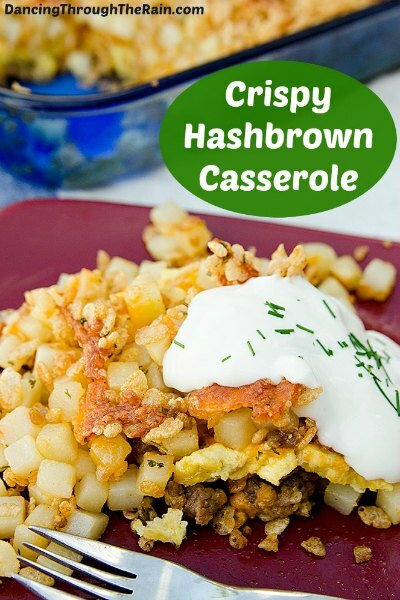 This casserole has all the best breakfast ingredients in one dish! Prepare it the night before and use store bought hashbrowns to have this ready in a snap. Bacon and Smoked Sausage combine for a meatlovers dream! The eggs, potatoes and cheese make it even more filling! This is one meal that can feed a crowd and leave everyone satisfied. Don’t let this potato bake fool you, it’s full of bacon, pepperoni, cheese and more! So yummy! Make double so you can freeze one for busy mornings! 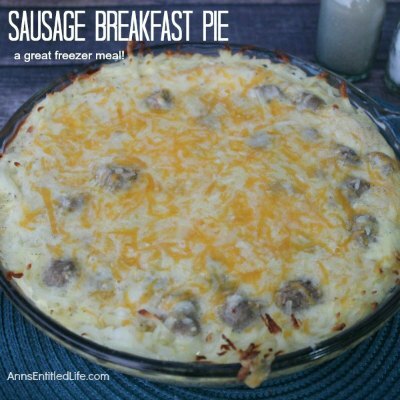 This yummy breakfast pie is good anytime of the day. The sausage, cheese and hashbrowns have the best flavor. This recipe is simple to make and the dish is packed with sausage, mushrooms and more for an amazing combination. The entire family will love it. This is the perfect potato casserole to go with breakfast or brunch. It uses frozen hash brown potatoes so it’s really easy. 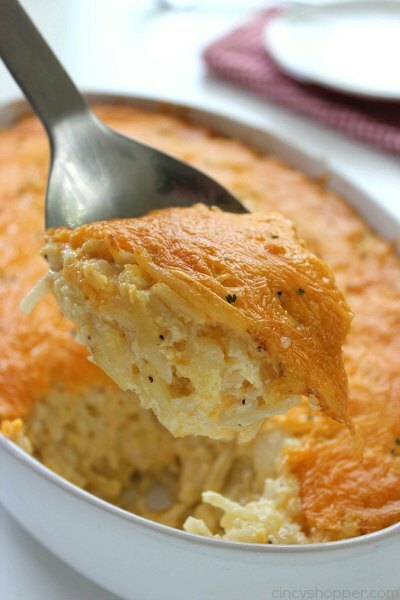 It’s so cheesy and delicious everyone will love it! Serve it with eggs and other breakfast items for a wonderful meal. 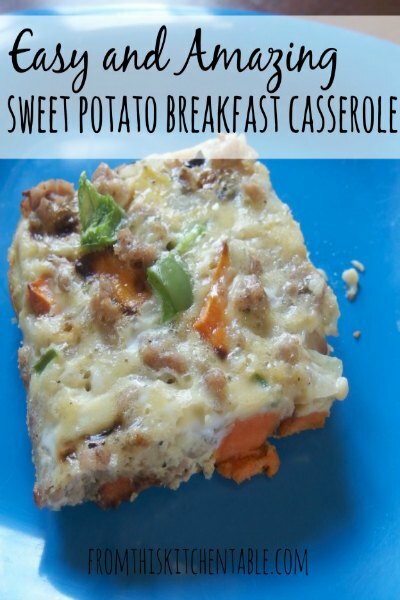 The sweet potatoes in this casserole give it a unique flavor that is so tasty! It combines well with the coconut milk, sausage and more. 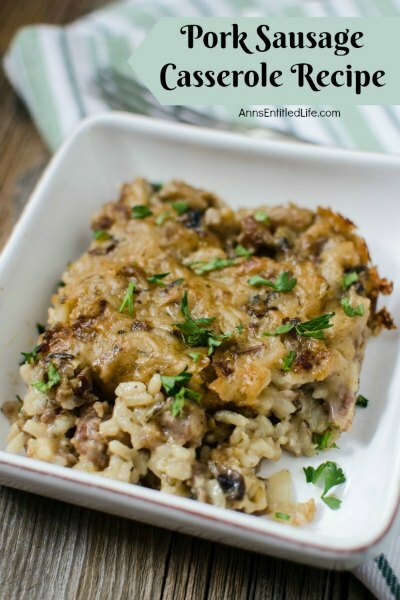 The herbs and other seasonings really make this casserole stand out! The yummy biscuits and the sausage gravy smothered on top will be a bit hit with everyone. It’s such a good comfort food! 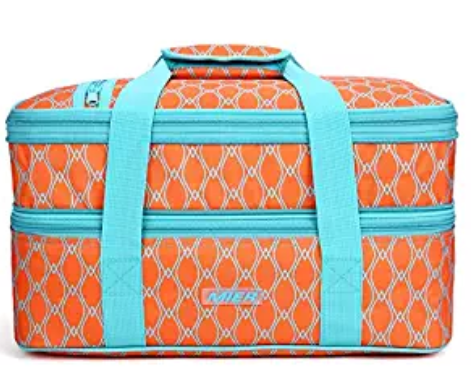 It’s perfect for holiday mornings, busy weekends and more. If you need to feed a crowd and don’t have time to stand over the stove making tons of pancakes, this is the recipe for you! This baked version of blueberry pancakes will make you wonder why you didn’t do this sooner. 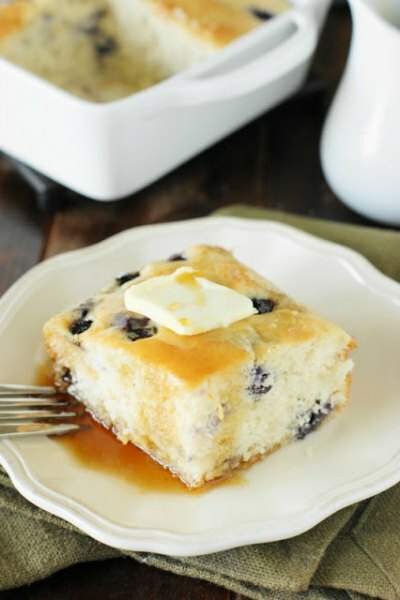 They are so light and fluffy and the blueberries add a burst of color. 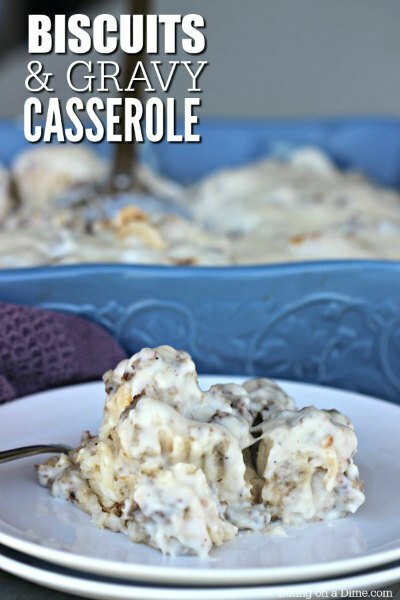 If you love Cracker Barrel’s hasbrown casserole, you must make this recipe! 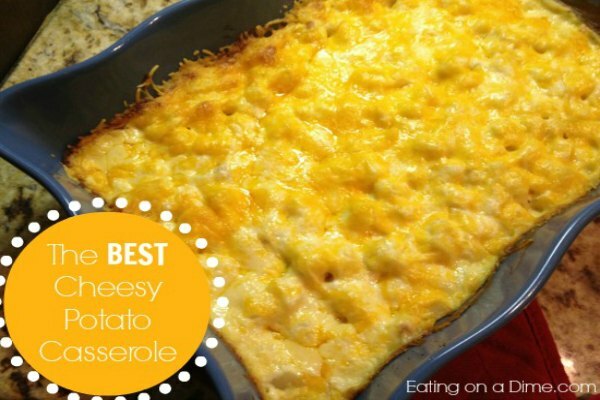 You will love being able to have this cheesy goodness at home. 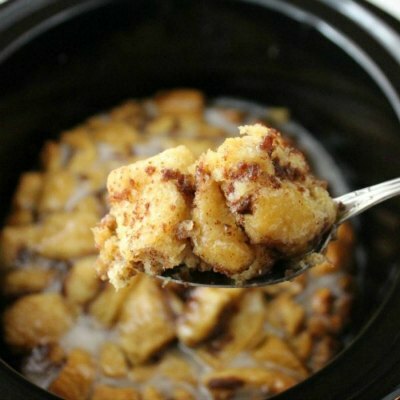 This crock pot cinnamon roll casserole is amazing and perfect for any brunch, holiday, or even dessert. The ingredients are simple but the flavors are amazing. Enjoy your cinnamon rolls without being stuck in the kitchen. 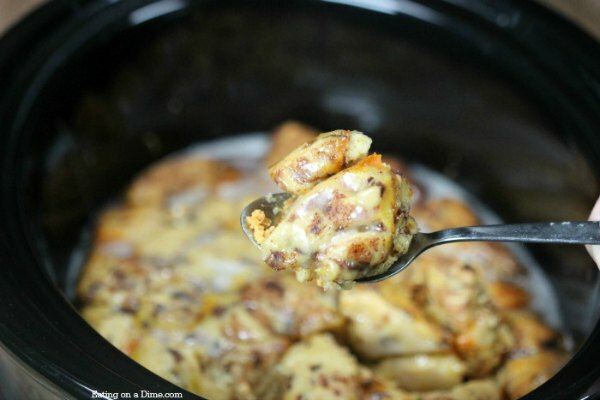 You won’t have to stay in the kitchen with this easy crock pot recipe. Throw all the yummy eggs, potatoes, bacon and more to have breakfast waiting on you! 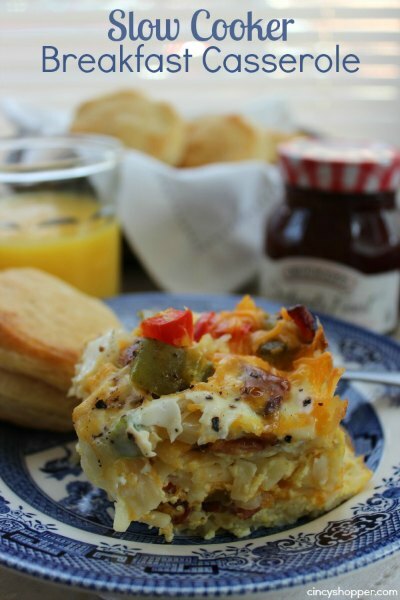 This Hashbrown Casserole will leave everyone ready to start their day! It’s packed with sausage, egg and cheese for a filling meal. Serve with a side of fruit and you are set. Baguettes cut into little pieces make the base of this french toast hearty. 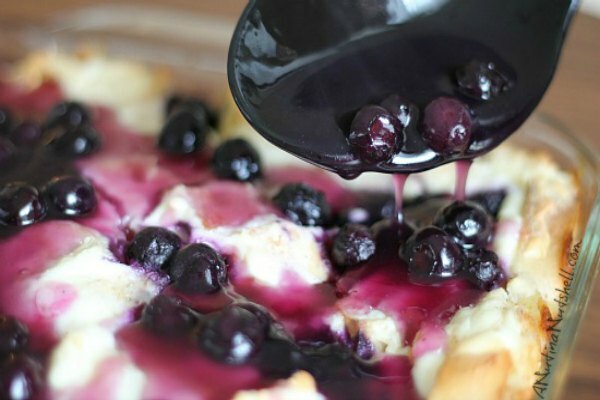 The filling and topping has lots of blueberries, cream cheese and more for an amazing dish! 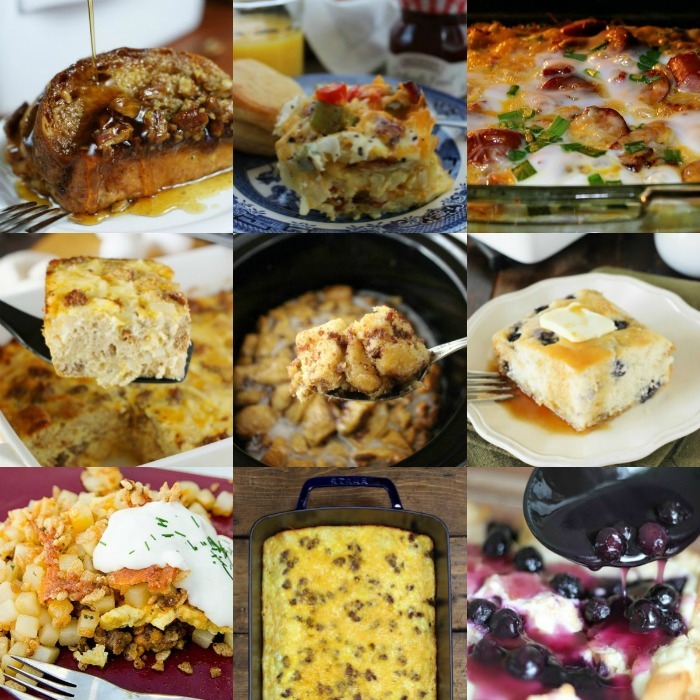 Now that you have so many easy breakfast casserole recipes to try, which will you choose? I love that we have savory and sweet options. Sometimes, I like to make one of each. These are especially nice if you have guests and want a little bit of variety. There isn’t anything worse than being stuck in the kitchen and not even spending time with your family or friends. Make one of these delicious recipes the night before and you will have absolutely nothing left to do but pop in the oven. Sometimes, we serve ours with a side of fresh fruit and you have a wonderful meal everyone will love! Here are 25 Easy Fall Soup Recipes to try all season long! There is something so comforting about a yummy bowl of soup.